Ohmygosh I’m so lying about the “hotels fer suckers” thing. I love staying in hotels. Adam and I have even (on more than one occassion) gotten a hotel for a night in our hometown just for the heck of it. Swimming, stupid TV shows, no cat hair, hot breakfast… all good stuff! And once we’re on the PCT… hotels of any star-rating will be luxury. Flushy toilets, shower, pillow, water from a tap… yeah! We plan to get an early start tomorrow… we’re goin’ to Roswell, New Mexico! I’ve never been to NM before, so I’m pretty excited! I wonder if the folks in Roswell will be familiar with Dundee, WI, which has had several UFO sightings, too! Happy Easter everyone, and sleep tight! 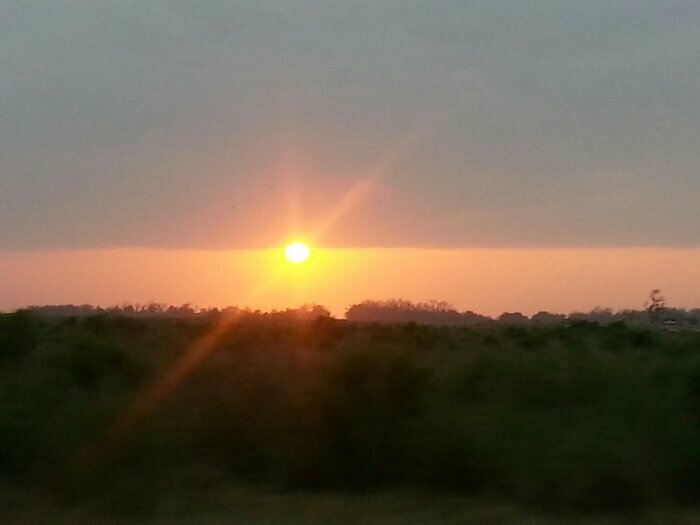 Sunset along the Southern Louisiana buyou. The PCT is my home right now, and I’m definitely taking the long way to get there. I have been thinking about the hike more and more the closer it gets. I’ve even gone back to having dreams about it. Last night I had a dream that I met Scott Williamson. He holds the speed record on the PCT at 66 days, so he’s kind of a celebrity in my world. 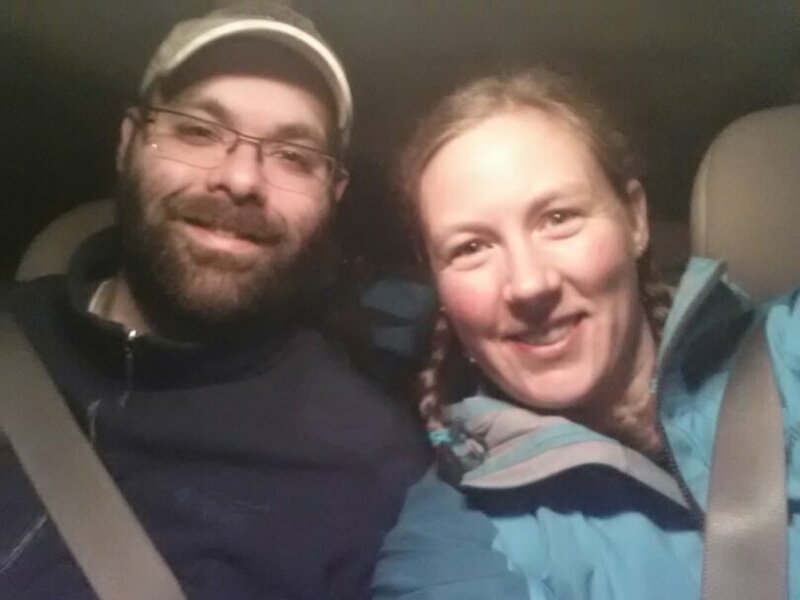 The pre-PCT road trip is going pretty good, especially since we’ve had several days with no car trouble… our confidence in the Pickle Jar is coming back! So far we’ve been through about 12 states and have seen a lot of new things. 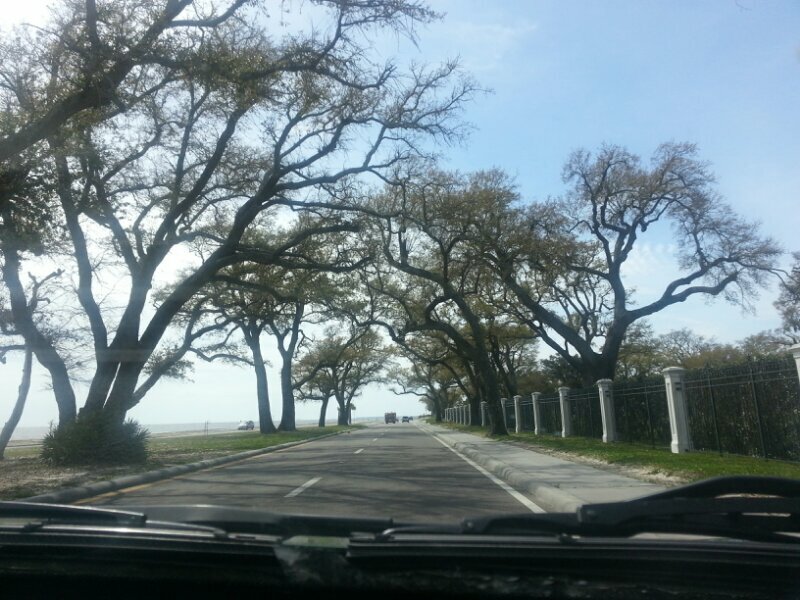 Adam and I both really enjoyed a secluded road that took us through Southern Louisiana’s bayou country… which included a car ferry across one of its many channels. That was pretty cool. And it only cost us three bucks! Right now we’re relaxing our butts off at South Padre Island, TX, and on Sunday we’ll hit the road again, getting even closer to the PCT. Well, actually… further away at first. 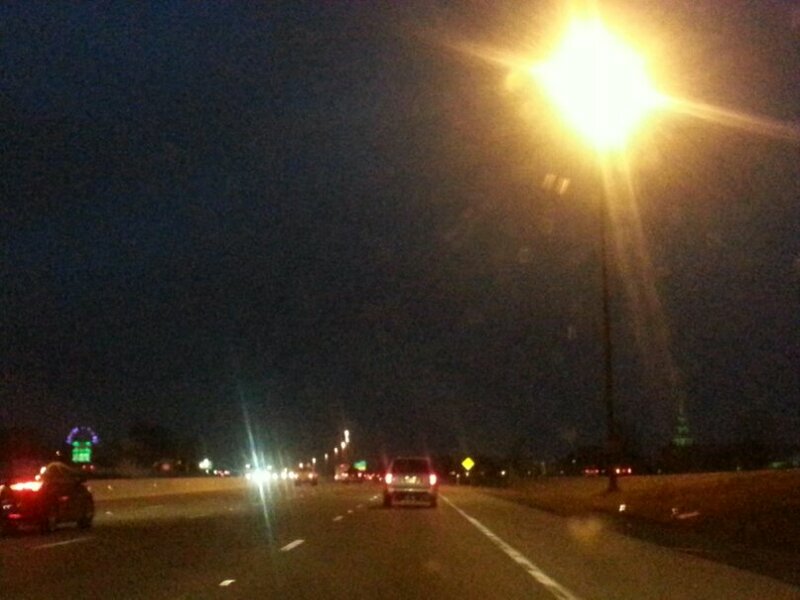 We really are taking “the long way home.” From here we’ll head through New Mexico, Colorado (picking up Rachel – yay! ), Montana, Idaho, Washington, and take the coast down to San Diego… and eventually Campo – the Southern Terminus of the Pacific Crest Trail. From there it becomes simple. Hike. Eat. Get water. Eat. Find a flat-ish spot to sleep. Eat. Become part of outside. Eat. These will be my new priorities. And what’s so fabulous about these new priorities is that I won’t have to try too hard to accomplish them. 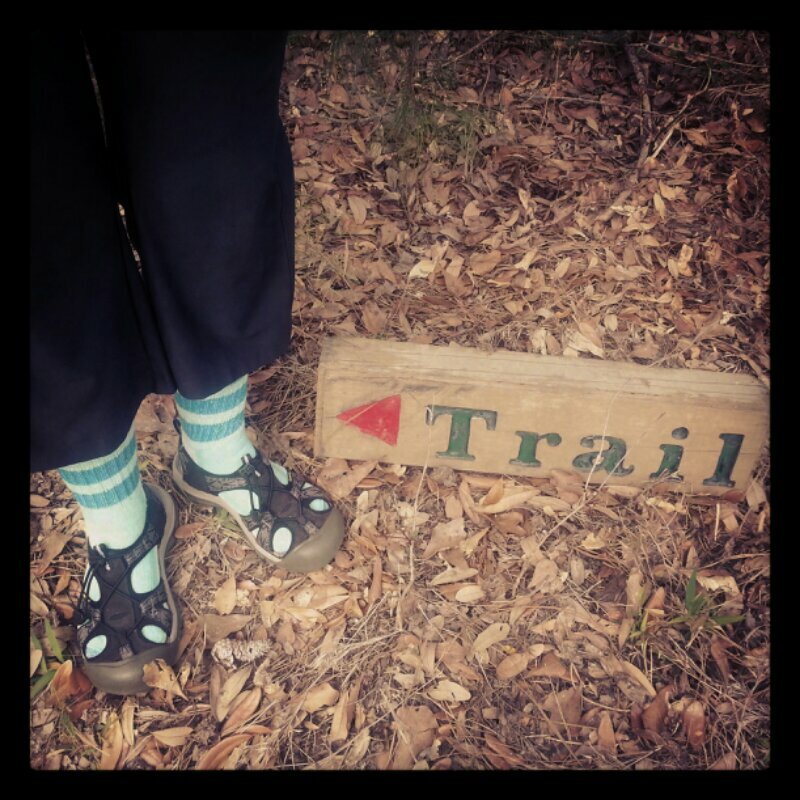 They come with the life… of being a thru-hiker. I can’t say it’s going to be easy… just more natural. I hope! I do recommend to any aspiring thru-hiker of any trail, if you can, take the long way home. Get your planning done early and hit the road. This is a fantastic prequel to a fantastic upcoming hike. I feel like I’m living in a dream right now. A really, really fun dream. And it’s only going to get better! Getting simple. 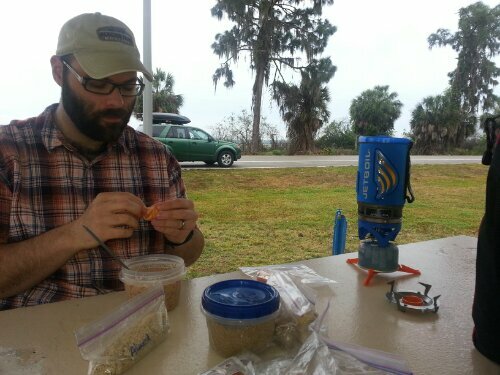 Jetboil breakfast on the road. I have this weird obsession with sunglasses. I have a hard time finding just the right pair, so when I finally do I become quite attached to them. I also have the habit of breaking sunglasses. This is an unfortunate combo. The perfect pair. They exist. About 3 years ago, Adam and I were in S. Padre Island and I found that perfect pair at one of those huge gift shops you see at any vacation beach destination. I broke them on a canoe trip later that year. I was so pouty-face and bummed out. I looked all over online to see if I could find a replacement pair, but I had no luck. Well we’re back at Padre. So today Adam and I stopped back at that same gift shop we did 3 years ago. 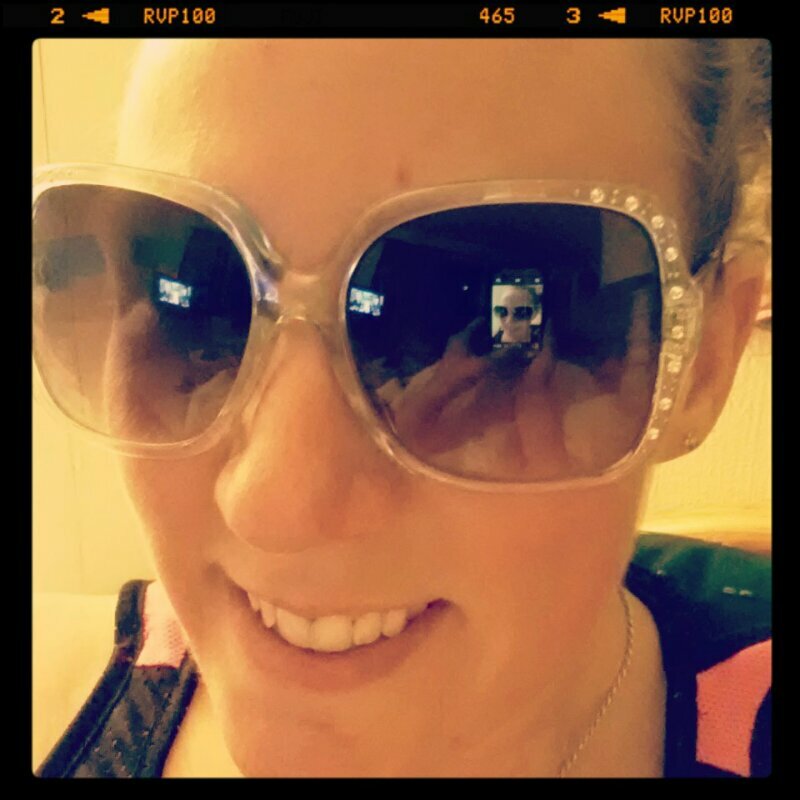 I had to sift through quite a lot of hipster shades before finding a few, straggling pairs of my FAVORITE sunglasses ever! I was SO excited! They were even dusty… probably haven’t moved in 3 years. They were only 10 bucks, so I bought two pairs right away… totally made my day. Last night we slept in our car at a Love’s truck stop for the second time. It’s not too bad. It gets a little uncomfortable when you want to roll over and can’t, and at about 5am we turned the car on and ran some heat because we got chilled. But it’s otherwise a great, free way to spend the night on the road. Better than driving straight through, which is what we did the night of day 2, or Saturday. Tough stuff! A nice place to visit friends... and grab a shower. We did meet up with our friends from Oshkosh (Andy, Kris and their two daughters) at Disney World for a short visit on Sunday. That was nice! They even let us use their shower… that was a big deal. Thanks, Andy & Kris! 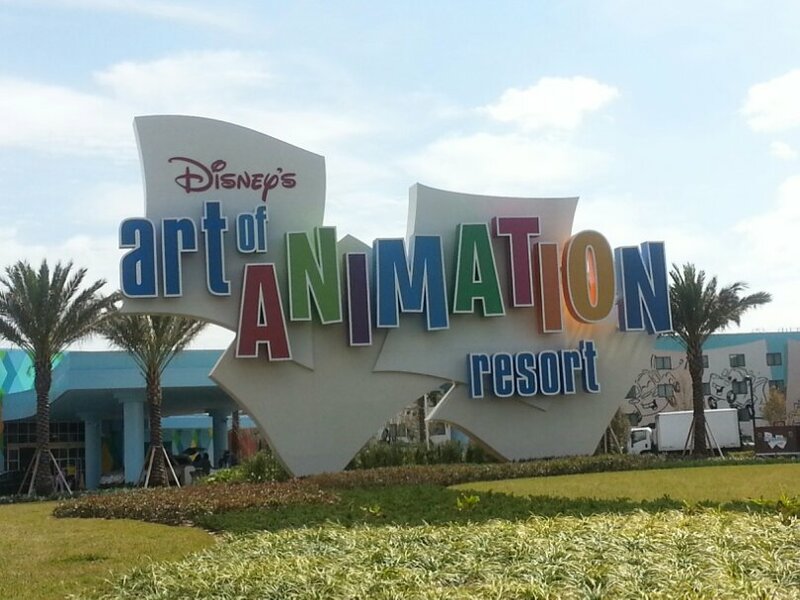 So my first visit to Disney included… a shower. Okay for me. Maybe one day I’ll go back for Epcot or something. Our visit in Florida was great. 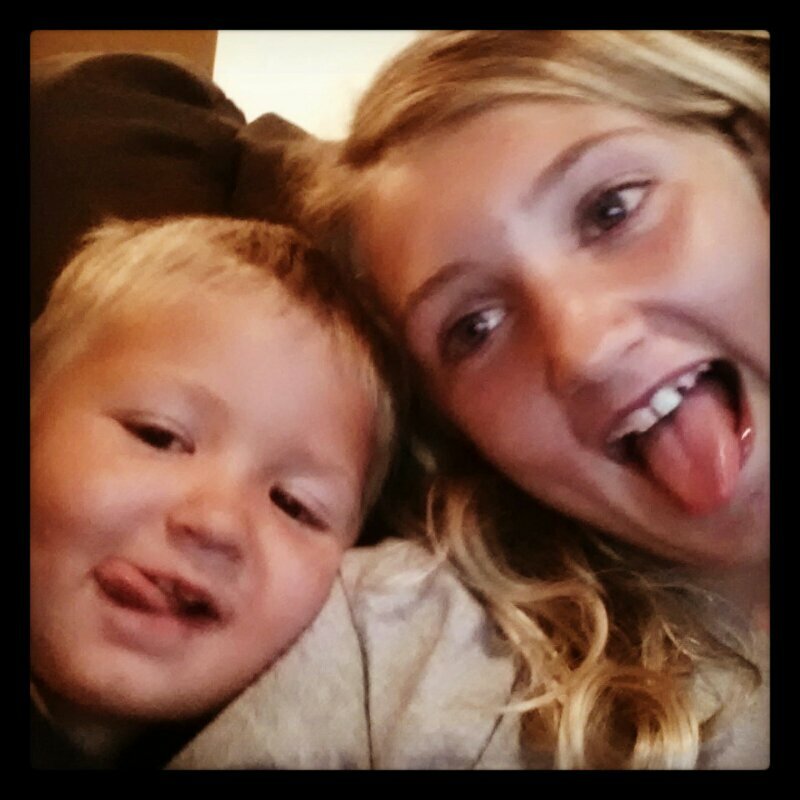 I got to see my brother for the first time since they moved there… a year at least… maybe two now. Seeing him, Erica, Gracie and Rex was a highlight for sure! And we stayed an extra night when we found out our car needed servicing. It was a silver lining to my broken day to be able to spend a little more time with them. On our way out of Florida yesterday, we stopped in Pensacola to meet Daniel Johnson. He hiked across the country — diagonally from Maine to SoCal — to spread the word of God and talk about salvation. It was an inspiring journey for both Adam and me, so meeting him was really an awesome experience. 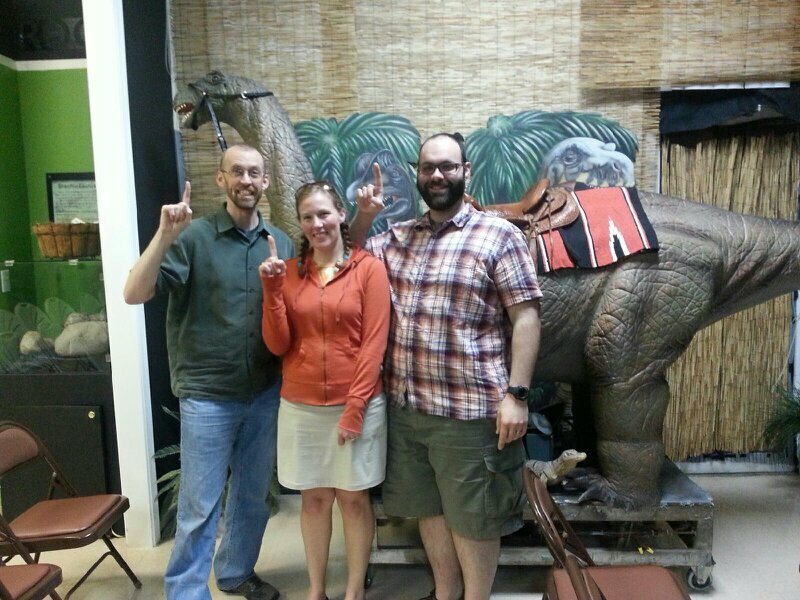 He showed us The Creation Store and museum after hours since we were there kind of late. We picked up some good reading material for the trip. Thanks for the great visit, Daniel! Check out his stuff at the Truth Group. Today we visited Biloxi, MS. We walked through the Beauvois house — the home of Jefferson Davis, president of the Confederacy. We also drove to see where Adam’s mom grew up. We took a couple photos of houses and one of them was the one she lived in! Cool! And now we are car-camping at a campground in Southern Mississippi, right near the gulf coast. It’s breezy, cool and the gnats are overfriendly… but we have a fire, a vertical place to sleep, a few beers and each others company. Life is good. I didn’t think I’d have to write something like this so soon on the trip, but it’s been quite a test in humility for me… and I must write about it. 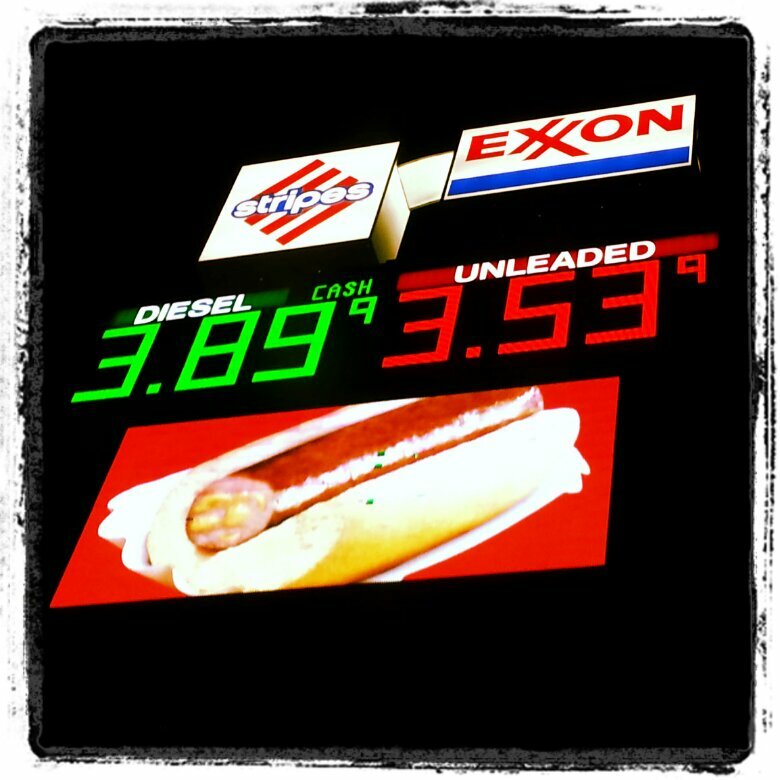 Yesterday was day #4 of the trip, and we had more car trouble. Everything about this journey so far has been incredibly awesome, but our car is testing our patience. First the window shattered, then the battery went, and now it’s a series of things that popped up during an oil change. We set aside some money to cover miscellaneous car expenses, but I never thought we’d use most of it by day 4. We have to make this car last at least 7 more months or we’re really going to be testing our ability to adapt to change. It’s hard for me to write about this… about breaking. I see myself as strong, and I feel a sense of pride because I can usually take anything on. I have the uncanny ability to let things roll off my back and move on. But today I cried. I bawled like a little baby with a tummy ache. I held that in for a really long time, and it boiled over today. I held it when I said good-bye to everyone. I was strong then. I held it when the rock shattered our window. I was strong and positive then, too. Then we got stuck in Illinois for 4 hours on our first day of the road trip with car trouble. I was giggling about it, being strong and joking about it. Strong. Right? Well, I think I was just letting it all store up somewhere… and today I broke. I haven’t cried that hard in a long time. I was sitting in our rental car. I could feel tears well up in my lower eye lids. My head ached. I looked out the window at the rain and tried to think about anything but the emotion I had building. I thought I was doing a pretty good job avoiding it. I went to the bathroom at the car service center twice, went into a stall and sat down and looked up, letting the tears flow back inside my eyes and took deep breaths. I told myself over and over again, “It’s going to be fine. It’s all going to be okay.” But then sitting in that rental car with Adam, I was no longer able to hold it. The tears welled up so much they fell. I was forced to admit to Adam that it was all I could take, and once I did that I totally broke and bawled my head off. He reached over and just held me and let me cry. I know he understood where I was. It was a very raw moment. Humility. I needed it, admittedly. I have a lot to learn and a lot to think about. I thought the “finding out who I am” thing would start on the trail, so I was a little surprised this has started so soon. Yesterday I realized I have to let my emotions be there when they’re there. I need to be okay with being scared, or nervous, or frustrated, and I need to let myself break now and then. While crying my eyes out in that rental car, I said to Adam, “I’ve been ignoring all these signs that this trip isn’t supposed to happen. I’m just being selfish.” But after I settled down, I decided I’d hold out on the hope that it was a test of strength. Adam rolled the truck… I mean, if there’s any sign we should have quit, it would have been then. But we didn’t. Um, okay. That’s strangely appropriate. If I can choose a “sign,” that would be the one to roll with. I might not always feel strong, but I have to remember that God will always give me the strength I need. I feel much better today, but I learned an important lesson from yesterday: Sometimes I just need to cry, and that’s okay. So… Onward. Tears and all. Today will be a better day. We drove into the Appalachian mountains today. Mountains! 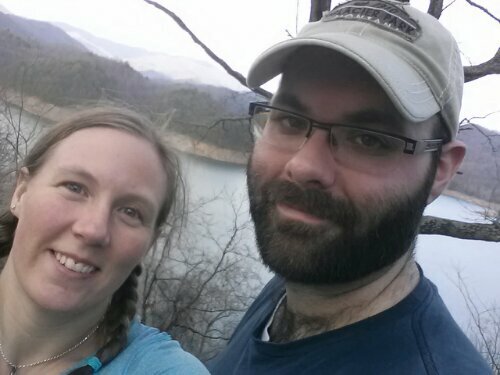 Adam and I decided to head down near Smoky Mountain National Park where the Appalachian Trail comes in near Fontana Dam. We wanted to hike a mile or two on the trail for fun. When we pulled in to park, I noticed a backpacker standing on the road with his pack off. 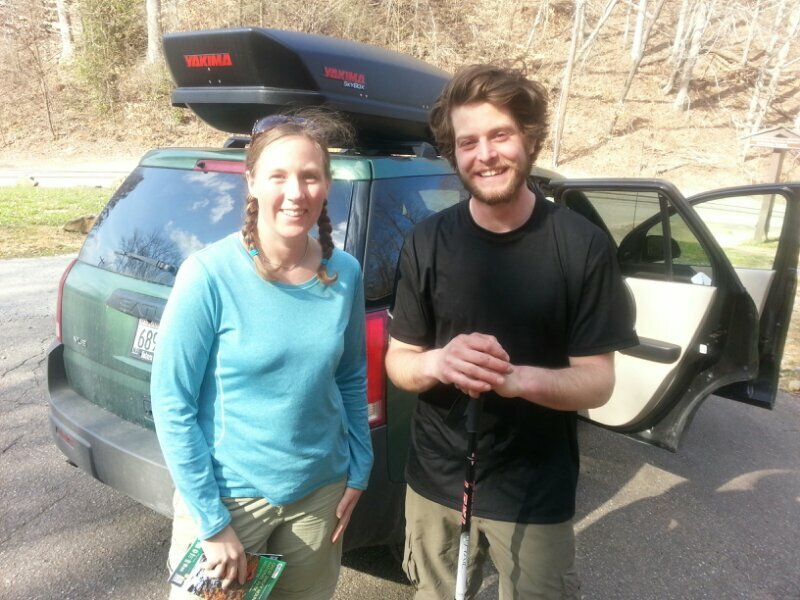 An AT thru-hiker! I was so freakin’ excited!! We introduced ourselves and I asked him what his trail name was and he said it was Firedrill. He was looking to go to Fontana Village a little ways down the road for resupply and needed a ride. Adam, of course, said “sure!” There wasn’t room for all 3 of us so Adam drove him and I stayed back to check out the trail and decide where we’d take our little hike. 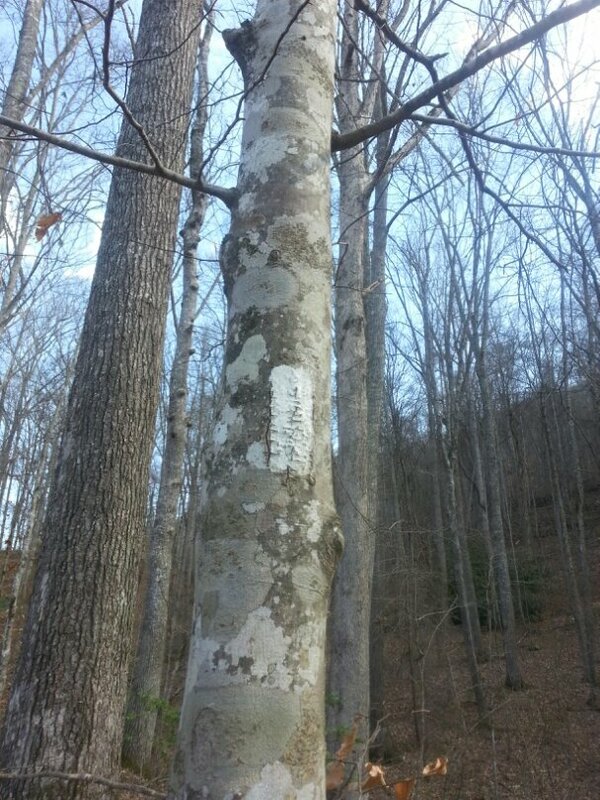 I crossed the road, read the AT trail sign and walked a little ways in. 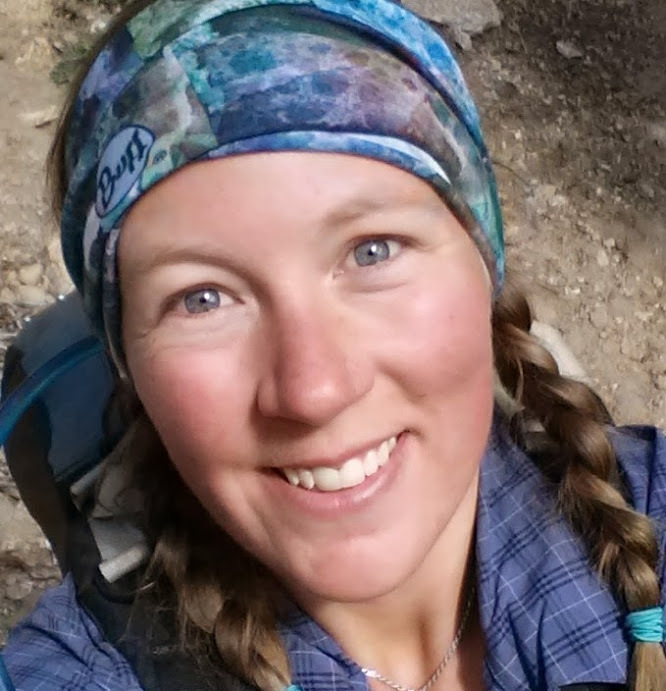 I stood there next to a white-blazed tree and noticed that my heart was beating pretty hard… and I had this awesome feeling deep in my gut… happiness and excitement bottled up just waiting for the PCT. Adam got back and we hiked about 3/4 of a mile in… all uphill! On our way back out we stopped and chatted with Anne and Zippy, two more thrus. Then we drove around to see Fontana Dam and there were thru-hikers all over! I guess we were there at just the right time! And dammit! We didn’t have any beer or Snickers! I so wish we’d had something we could have shared with them… we didn’t think that all the way through! Oh well… it was great to get a taste of a long trail. It didn’t hurt that I was able to hike in shorts. It was nearly 80º and sunny! And there were beautiful mountains all around! 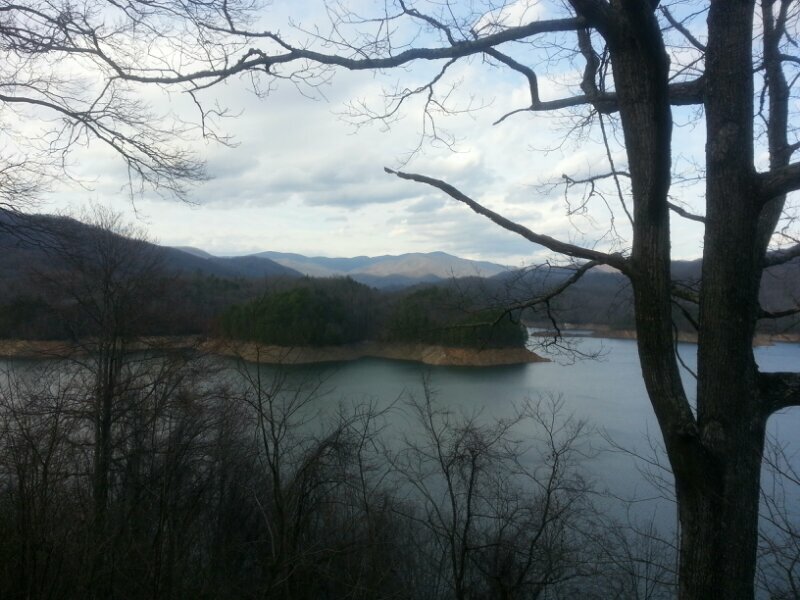 View of the Smoky Mountains and Fontana Lake. 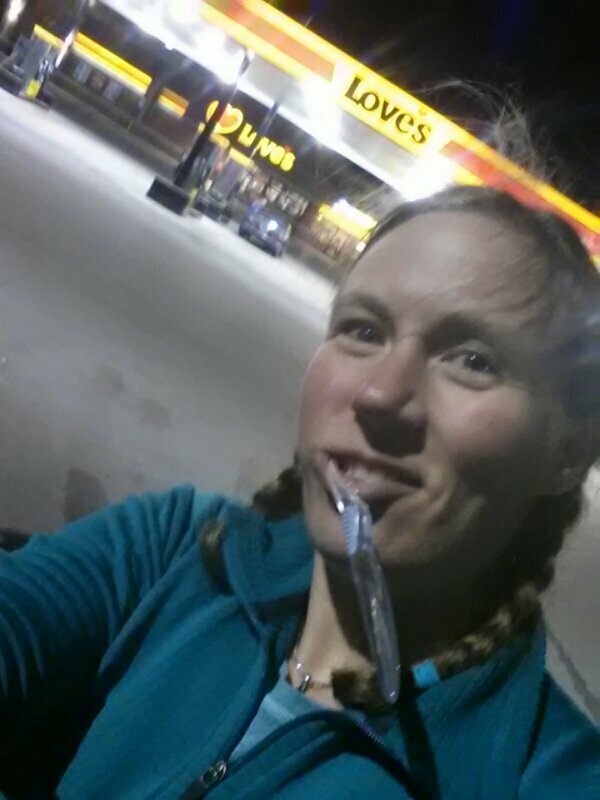 I brushed my teeth in two gas station parking lots and one rest stop parking lot. Hey, it’s probably more sanitary than the restrooms. People just look at ya funny. And that’s fine with me! Breakfast was coffee and oatmeal from Adam’s Jetboil, enjoyed at a rest area picnic table in Kentucky. We met Adam’s friend Joel (from Oshkosh) last night for a few minutes in Louisville because he just happened to be there the same time we were – for a volkswagon gathering. We were surrounded by a hundred VWs. It was pretty awesome. We listened to Banjoey bluegrass music through the Tennessee mountains. The Pickle Jar’s emissions light came back on. We hope it was something from all the switchbacks and it’s just tired. Starting out at 3:30 am! It’s been an interesting first day! Adam and I woke up at 2am, got packed up and woke up my parents to say good-bye. We got on the road around 3:30am. Not bad! I started out driving, feeling tears well up in my eyes. Good-byes and all kinds of thoughts about missing friends and family finally hit me! Do you all know how much I freakin’ love you and will miss you all? A lot. A lot-lot. I found a way to distract myself a little… I was also intently focusing on the ditches looking for crazy deer. I really REALLY didn’t want to crunch up anything on this poor car before we even got out of Wisconsin! We only saw 2 that walked out in front of our car… right in downtown Phillips. All of us were moving too slow for a collision. Good! At our first stop for fuel about 3 hours in, we saw what looked like smoke coming from the hood. “Oh noooo.” I think we might’ve even said it in unison. It stopped, so we chalked it up as being condensation and drove on. Next stop… coffee. Emissions light on. What? 2004 Vues had a recall with the gas cap that caused the emissions light to come on, and it wasn’t anything to be too concerned with then… so even though we’d had it taken care of, we shrugged it off. I think we were in denial. Battery light illuminated all red and annoying-like. Manual says to service immediately. 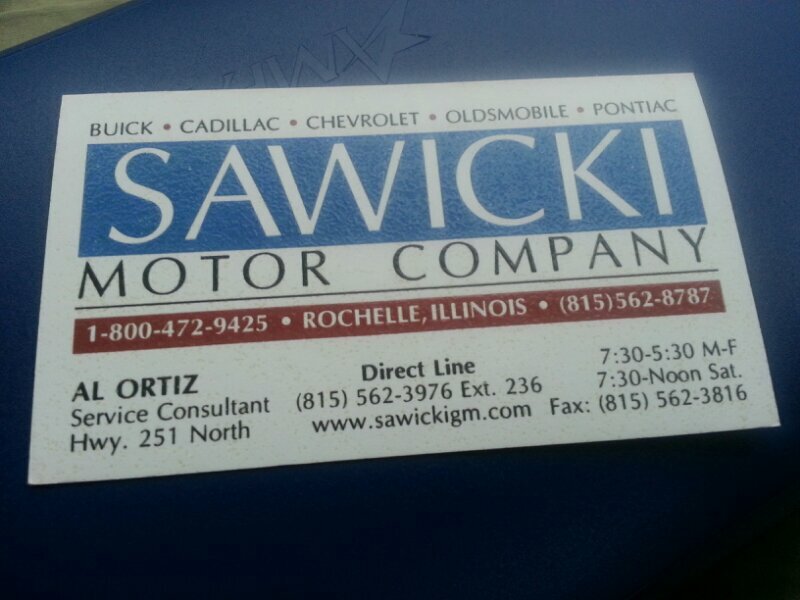 Phones find us the nearest GM dealer and we turn around and land ourselves at Sawicki Motors in Rochelle, Illinois. These are some good folks!! First news: dead battery cell. Third: battery is new and covered by warranty, but new alternator and work will run around $500 when all is said and done. Ouchy! Fourth (and such happy time news! ): turns out the alternator’s BELT was just shot. Yay! 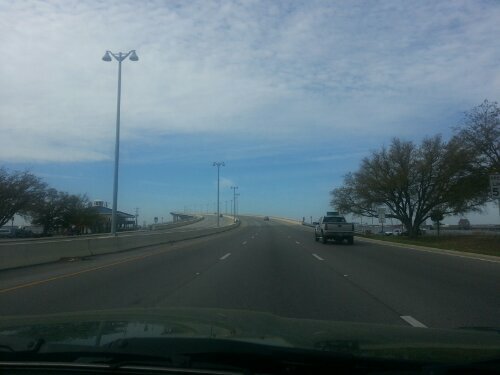 Four hours later and only $100 out… we were back on the road. Next stop for fuel… low rear passenger tire. Grrr… we filled it with air, and so far its held. Come on Pickle Jar car! We loves you sooo much, and there’s all kinds of adventure yet to come. Stick with us buddy! I tell ya! We’ve had our share of challenges getting where we are… but dammit! We are determined! We’re staying positive and it’s certainly preparing us to adapt to constantly-changing plans. We dealt with it pretty well, I think. Adam was especially calm, and I was impressed considering he dealt with most of it.